Special guest Annie Mattingley, author of The After Death Chronicles: True Stories of Comfort, Guidance, and Wisdom from Beyond the Veil is with us today to talk about her book. This is a book about ordinary people—plumbers, artists and accountants, bakers and beauticians, teachers and lawyers—who have been able to receive communication from loved ones who have died. Included here are accounts from over 80 people across the country who have had contact with the dead through the diaphanous veil that separates them from the living.The book begins with the story of Annie’s deceased daughter speaking to her in the early morning hours.The communication was so transformative that she began to share her experience. Much to her surprise, she discovered that after-death communication is much more common than is normally assumed, and she began to connect with other folks across the country who had similar experiences. Each of the ten chapters is organized around a specific kind of after-death communication. Included here are chapters on dreams, verbatim conversations, and synchronicity through nature and various other physical manifestations, descriptions of the results of these occurrences, and advice on how to open up to after death communication. This book inspires in the reader reassurance, courage, healing, and a sense of wonder. Annie Mattingley has an MA in consciousness studies and has worked as a teacher, magazine publisher, and hospice volunteer.She is now retired and lives in Questa, NM. Today’s special guest, Maureen St. Germain, is a modern day mystic, who has become world famous for her trainings in personal development and spiritual awakening in more than two dozen countries. The author of three bestselling books, she is founder of Transformational Enterprises and the Akashic Records Guides International. Living herself in 5D and above (there are 12 dimensions described in the book), she has a unique first-hand perspective that she imparts to those ready to accelerate their transition into the higher dimensions.Whether we are aware of it or not, humanity is increasingly transitioning into the 5th Dimension. Learning how to intentionally and permanently function in 5D changes how you see and act in the world – no more good vs bad thinking, no more competitive striving, no more struggle, no more linear one-way thinking, no more retaining pain and regret over past hurts or relationships, no more worry-no more polarity! Have you ever momentarily lost track of where you are or what you are doing? Or perhaps become astonished at arriving on time for an appointment for which you left so late — but you made it on time? Or maybe just surprised yourself by forgiving someone with love for a transgression that normally would have triggered your anger and resentment? Or things just happened so synchronistically that you are in a state of wonder? If so, you might just have been flirting with being in the 5th Dimension, according to today’s special guest, Maureen St. Germain. This personal growth and spiritual luminary has now written a book that will give you the tools to live a multidimensional life – to operate from the realm of love and joy, instead of the polarized world of the 3D mindset. It is the manual for your vibrational recalibration, so you can rise above the limitations imposed by 3D, and live open to the infinite possibilities that become available to you when activating from a state of love. can unlock your healing potential and live better. Emily A. Francis has worked in corporate wellness and as an aerobic director, kickboxing instructor, and yoga instructor. She is a clinical massage therapist with extensive specialized training and the author of Stretch Therapy Emily also holds a gold medal in the US Open in Tai Chi Form and a bachelor’s degree in exercise science and wellness. She is currently pursuing a master’s degree in physical education/human performance concentration. Visit her online at www.EmilyAFrancisBooks.com. Today’s special guest, Catherine Carrigan will be talking about how to get out of pain naturally without drugs. Natural healing is so important these days because the leading cause of death for Americans under the age of 50 is now drug overdose. An estimated 91 Americans a day die from opioids. Learn what you can do to heal your body naturally and lessen your dependence on medications. Learn how to feel good without opioids or over-the-counter medication. Your Physical Body: Learn how to heal pain through nutrition, yoga, posture exercise, restorative movement, juices and smoothies and food healing. Your Energy Body: Take advantage of the hidden secrets of your chakras, energy healing, Reiki, balancing your acupuncture meridians and breathing exercises. Your Emotional Body: Release the emotional stress behind your suffering, overcome your broken heart, understand the messages from your body and let go of the payoffs for chronic pain. Your Mental Body: Change your story to think like a rich and healthy person.Your Spiritual Body: Raise your vibration past pain and suffering and learn how to comfort others when all you have to give is love. 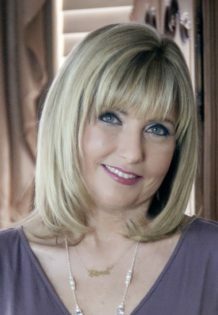 Catherine Carrigan is a medical intuitive healer and author of 8 books. She works with clients all over the world to empower them to achieve exceptional levels of health and happiness. 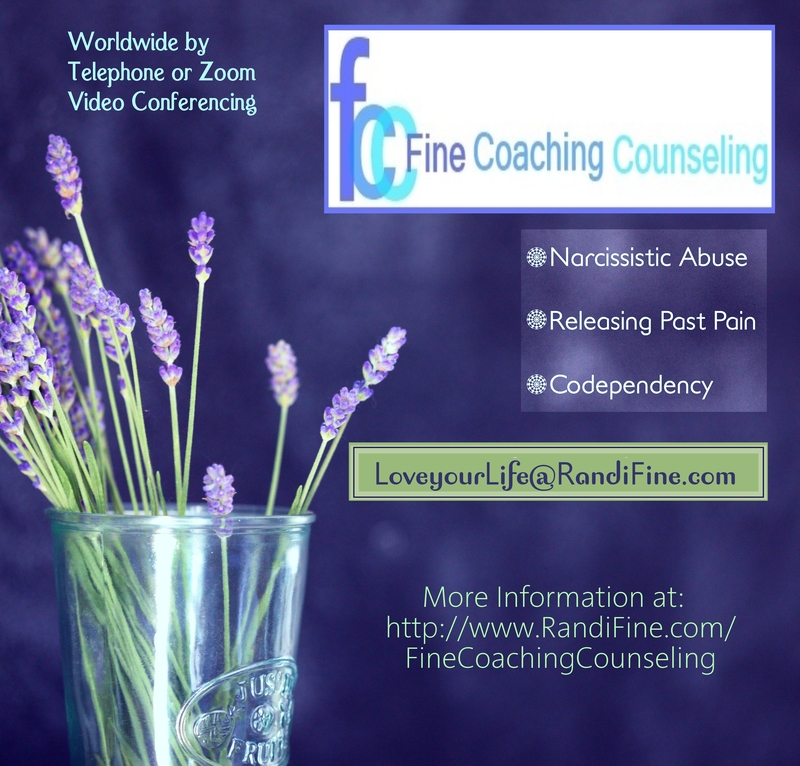 Instead of Randi’s usual call-in show on the second Friday of the month, today she will be talking about her recently published, groundbreaking new book, Close Encounters of the Worst Kind: The Narcissistic Abuse Survivors Guide to Healing and Recovery. Written in a non-labeling, non-judgmental style, survivors will find this book highly educating and empowering. 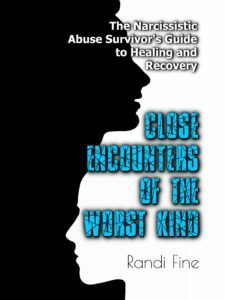 Close Encounters is a comprehensive, compassionate and supportive guide to understanding the unique and complex nature of narcissistic abuse and the emotionally crippling syndrome that results from it. This book gives narcissistic abuse survivors the most complete and trustworthy roadmap to guide them through the healing process, into recovery, and ultimately to the freedom and happiness they deserve. Narcissistic abuse survivors, concerned supporters, and helping professionals will find the most up-to-date information on the psychological, emotional and physical effects of NPD abuse. Readers also learn how narcissistic abuse infiltrates various settings including work, family-of-origin, friendships and romantic relationships. To those people in your life who cannot possibly understand what the abused have endured, they no longer have to explain. They only have to hand them this book. Victims and survivors have suffered enough. Now it is time to heal. Today’s special guest, bestselling author and renowned healer Lynn V. Andreis here to talk about her Sacred Vision Oracle Cards, a deck that connects the lessons of balance and harmony with gorgeous Native American artwork by celebrated artist Robert Taylor. This deck takes readers on a journey to achieving inner peace. Lynn explains, “The most profound voice of vision and wisdom that you will ever experience is the voice that comes from within you and speaks of what is real and true for you—truths that you may not even know you carry until you see or read something that awakens them. Then you become your own oracle, because you have embraced the voice of wisdom that is part of you, connecting you with God and all of life rather than keeping you separate and apart.” This deck connects the lessons of balance and harmony with gorgeous Native American artwork by celebrated artist Robert Taylor. This stunning package includes 29 full color cards along with a 128-page guidebook that shepherds’ readers on a journey to achieving inner peace. Andrews has been writing and teaching for over 30 years, and her fan base has clamored for a new, more advanced follow up to The Power Deck. Andrews has responded with a deck that allows readers to discover their destiny, live their dreams, and follow the oracle to find true peace in their lives. Lynn V. Andrews has been writing and teaching for over 30 years. She is recognized worldwide as a leader in the fields of spiritual healing and personal empowerment. A shaman healer and mystic, Lynn is widely acknowledged as a major link between the ancient world of shamanism and modern societies thrist for profound personal healing and a deeper understanding of the pathway to enlightenment. Robert Taylor is a self-taught artist whose art reflects his own spiritual journey and gives him the ability to make peace with the world. October 10, 2017 – Finding a Deeper Relationship to the Sacred with Sarah Bamford Seidelmann M.D. After two decades in the study and practice of medicine, today’s special guest Sarah Seidelmann took a three-month sabbatical to search for a way to FEEL GOOD again. Having witnessed human suffering early in her career, and within her own family, she longed for a way to address more than just the physical needs of her patients and to live in a lighter, more conscious way. Her new book, Swimming with Elephants, tells the eccentric, sometimes poignant, and occasionally hilarious experience of a working mother and wife undergoing a bewildering vocational shift from physician to shamanic healer. During that tumultuous period of answering her call, she met an elephant who would become an important companion on her journey, had bones thrown for her by a shaman in South Africa, danced with sacred stones, and traveled to India for an ancient Hindu pilgrimage, where she received the blessing she had been longing for. She discovers an entirely different kind of healing, one that enables her to help those who are suffering in the way she had always aspired to. Sarah was a board certified Physician specializing in Surgical Pathology at a tertiary care Multispecialty group in the Midwest. While she thoroughly enjoyed her wonderful practice and partners, after 13 years, she felt a strong pull to do transformative work and to be creative again. By that time, she had four children and her life had become “complicated”. She took a 6 month sabbatical from being a doctor and found herself wandering deep into the woods. Sarah was re-awakening her own deep connection to Nature and to herself. At the end of 6 months, she determined that her path was to continue on in the field of personal transformation. Sarah completed Martha Beck’s Coach Training and got certified by Martha herself, who is s a former Harvard Professor and writes the Life Coach Monthly piece for Oprah’s O magazine. Are you ready for a radical shift in perception-one that may challenge and profoundly alter your idea of who you are and what your purpose is on this planet? A compelling new book presents information, stories, and simple, yet life-changing practices designed to assist you in doing the work you came to earth to do: Waking up into the Awareness that you are the Presence of Love, and living your unique life of meaning, purpose and fulfillment from within that Awakened state. Remembering the Light Within comes forth from today’s special guests Drs. Ron and Mary Hulnick, Founding Faculty and Co-Directors of the University of Santa Monica, the Worldwide Center for the Study and Practice of Spiritual Psychology. Their book affirms that we all suffer from greater or lesser degrees of “Spiritual amnesia.” We’ve forgotten who we are and why we’re here. The process of Remembering is an active process through which step-by-step you remove or dissolve the barriers within your consciousness that are all that prevent you from knowing your Soul’s nature-from experientially knowing that you are a Divine Being having a human experience. Can you imagine walking through this world in a consciousness that is Awake to Love? Wouldn’t that be Amazing Grace? Drs. Ron and Mary Hulnick are pioneers and worldwide leaders in the field of Spiritual Psychology, as well as teachers and facilitators of Awakening in Consciousness. They are renowned educators, authors, and the Founding Faculty and Co-Directors of the University of Santa Monica (USM), where they have designed, developed, and facilitated educational programs for the past 35 years. Both are licensed Marriage and Family Therapists, and Mary is a licensed Clinical Psychologist. They are also the authors of Loyalty to Your Soul: The Heart of Spiritual Psychology. Consider what it would be like trying to have a productive conversation with an angry inmate serving a life sentence at a maximum-security prison. Life-threatening at worst; unpleasant at best. But today’s special guest Douglas E. Noll has been in exactly that situation, as well as many more high-tension confrontations, and has deduced precisely how to bring that conversation back in line respectfully and productively in under two minutes. If he can do it with prison inmates, imagine how well this might work with upset spouses, unresponsive teenagers, unhappy clients, or even road-raging drivers? Noll’s highly-anticipated De-Escalate: How to Calm an Angry Person in 90 Seconds or Less (Beyond Words/Atria) is now at hand! Noll shares how to defuse conflicts quickly by focusing on the emotions of the angry person rather than the words being said (or screamed). In this way, habitual responses of anger and frustration are circumvented and cooler heads will likely prevail. Noll, who holds both a JD and an MA, left a successful career as a lawyer to become a peacemaker. He is an award-winning author, teacher, trainer, highly experienced mediator, and co-founder of the Prison of Peace project. This has been the most profound peace training Douglas has conducted thus far in his career. Inmates who have gone through his program have learned and applied deep, empathic listening skills, leadership skills, and problem-solving skills to reduce violence in their prison communities. To learn more about Douglas, visit www.DouglasNoll.com. Stop letting your ego, that negative voice in the back of your mind cause you more stress and anxiety. Instead, start working to find inner peace and harmony. Today’s special guest, Atherton Drenth, author is here to talk about her book, The Intuitive Dance: Building, Protecting, and Clearing Your Energy. In this book, Atherton guides you to master the ego by utilizing your innate intuitive abilities and helps you to find the way back to the inner calm. Learn how to improve your wellness and happiness with practical exercises and easy-to-use techniques as you move through this book’s three main sections: building, protecting, and clearing your energy. Along the way you’ll discover how to determine your intuitive type, center and ground your energy, and sleep more restfully. By changing your inner dialogue and the harmful beliefs that may have been ingrained in childhood, you can start living the truth of who you really are. Atherton Drenth is a certified medical intuitive and holistic energy practitioner. She’s been in private practice since 2000 and has conducted over 35,000healing balances on clients from around the world. Atherton also offers yearly workshops and was featured in the documentary “Voyage to Betterment” as one of twelve experts in the fields of consciousness research and spirituality. Mary Shores has been recognized as a leader of innovative thought and has been described as a “revolutionary thinker.” Mary has spent over a decade teaching businesses and individuals how to inspire others, create new ways of thinking, identify their goals, and take action to create meaningful results. She is the innovative creator of the ground-breaking Conscious Communications system. Mary has traveled nationally to lecture and teach courses that help individuals implement new ways of thinking so that they can take small steps toward making more conscious and impactful decisions. Her unconventional and dynamic teaching style inspires all who listen by incorporating science, ancient wisdom, and personal experience into easy-to-understand lessons and exercises. Mary has been featured on local and national radio and television shows, podcasts, and blogs. Her influential book Conscious Communications will be released by Hay House in August 2017. Mary seeks to make an impact on the collective consciousness that will inspire individuals to live to their fullest potential. When Mary is not hosting retreats, speaking to crowds, on Facebook Live, or writing blog posts, she is with her two teenage sons in Central Illinois. To get involved in Mary’s movement, sign up for her Fearless Ambition newsletter at maryshores.com. Wonder and Beauty: My Journey from Heartbreak to Healing through the Wonder of Horses is a story about a mother’s choice to quit fighting in the courtroom after years of custody battles resulting in parental alienation and the eventual abduction of her only child. Miller made the choice to save herself and her child by leaving and going back to the birthplace of her son in San Francisco, California. She begins to rebuild her life in the midst of the global financial crash of 2008 after seeing her real estate business collapse, her home foreclosed upon and her life savings vanish in the midst of the hundreds of court cases that took place between her and her ex-husband. While writing her book the author continued to move forward with the hope that one day she would reunite with her son. One morning in the early hours a dream about reunification with her son came to her and she turned it into a chapter of the book. Her time with horses introduced her to the language of the heart and how once linked in love this bond can never be dissolved. The author and her fiancé moved to a property in Idaho to begin their life together with the dream that includes horses and all of their children. Charla Miller is the founder of BeautyHealsYou.com — a website and blog that integrates emotional and physical beauty. As a makeup and hair artist she shows women how to take care of their skin and shows them how to bring out their full beauty through the use of simple makeup and hair techniques. Her website introduces different types of healing practices, skin care and makeup tips and inspiring events. When she isn’t busy in her artistry and writing endeavors she takes every opportunity to immerse herself in the healing power of horses. Her intention is to turn her passion for the healing nature of horses into workshops and private sessions and to share these profound healing experiences with others. Paul Selig will not be doing readings today.“Whether we realize it or not, the vast majority of us define ourselves by the expectations established by our society, culture, family, and community. We internalize constructs based on external stereotypes of gender, age, race, social standing, or a myriad of other categorizations. And as a result, we often embrace lives that do not reflect our deepest desires.” This insight comes not from a psychologist or self-help guru, but from today’s special guest, celebrated medium Paul Selig. In his book, The Book of Truth: The Mastery Trilogy: Book II, Selig – a former NYU faculty member and Goddard College trustee whose extraordinary abilities have been featured on Nightline – offers readers the enlightened and panoramic perspective of his spiritual guides, who share with him their otherworldly wisdom. Paul’s unique abilities have been featured on Fox News, the Biography Channel series: The Unexplained, Gaim TV’s Beyond Belief, and the documentary film Paul & The Word. He has appeared on numerous radio shows and podcasts.Currently, most of Selig’s work is as a clairaudient, clairvoyant, channel, and empath.He offers channeled workshops internationally.Paul lives in New Your City where he maintains a private practice as an intuitive and conducts frequent live-stream seminars. Recent research on probiotics shows even the most popular probiotics don’t survive our stomach acids and never make it into the intestines alive. The currently-exploding probiotic market is largely misunderstood and based on old information. According to today’s special guest, microbiologist Kiran Krishnan, spore-forming bacillus strains have been prescribed medically in Europe and Asia for decades, exhibit amazing survivability and have huge therapeutic potential. A new study by Kiran on leaky gut will be published in the next few months in an international peer-reviewed journal and will open a new chapter on GI therapies and whole-body immunity. In addition, the NIH will be conducting a clinical trial on probiotics for HIV patients. Extensive work is also being done using spore-forming bacillus probiotics for children on the autism spectrum, most of whom have serious digestive problems. Kiran is a research microbiologist and has been involved in the dietary supplement and nutrition market for the past 16 years. He comes from a strict research background, having spent several years with hands-on R&D in the fields of molecular medicine and microbiology at the University of Iowa. Kiran earned his Bachelor of Science degree in Microbiology at the University of Iowa; his undergraduate education was followed up with postgraduate research in Molecular Biology and Virology. Krishnan is one of the most informed and articulate experts on the human microbiome in the world. He is a frequent lecturer on the human microbiome at medical and nutrition conferences and summits worldwide. He conducts the popular monthly Microbiome Series webinars through the Rebel Health Tribe Group practitioner training program, and is a frequent guest expert on national radio and satellite radio shows. He is currently involved in 3 novel human clinical trials on probiotics and the human microbiome. Although practicing the law of attraction has been proven to be a great way to change life for the better, many psychic empaths and other spiritual workers have a very hard time getting their intentions to manifest. They can work miracles in others’ lives but may find their own lives in chaos and or poverty. They may also have a myriad of health challenges and suffer feelings of isolation and depression, not understanding why they can change the lives of others for the better but not their own. Today’s special guest, Rhonda Harris-Choudry will be discussing: •How to remove the toxic energy debris caused by past and present traumas. •How to remove the energy cords attaching you to negative people and circumstances. •How to understand the lessons your trials have brought you to help you move past them and on with your life. •How to identify your custom psychic gifts to utilize them to help you manifest your desires. •How to retrain your subconscious so that it works for you and not against you. •How to use emotional shapeshifting to raise your vibration and attract what you want. •How to customize the law of attraction so that it works specifically for you and your specific needs. Rhonda Harris-Choudhry has just published a book titled, “You Are Not Broken – How to Retrain Your Brain, Clean up Your Energy and Use Emotional Shapeshifting to Raise Your Vibration and Manifest Your Desires with Special Attention to Empaths and Other Highly Sensitive People”. She has also been a psychic on your Best Psychic Directory. According to the National Institute for Occupational Safety and Health, Computer Vision Syndrome affects about 90% of the people who spend three hours or more a day at their computer or other display devices. The average American adult spends 11 hours a day in front of an electronic screen, cell phone, tablet, computer and TV, while children are exposed 6.5 hours, and even toddlers receive an average of 2.5 hours of damaging blue light every day. Electronic devices use “blue light” to produce high-energy bright whites on the screen which have been found to damage the retina. Everyone is at risk. Computer Vision Syndrome has replaced carpal tunnel as the #1 workplace complaint. In addition, blue light exposure has been correlated with earlier onset of macular degeneration—down from age 65 to 60 years. Today’s special guest is Dr. James Stringham, Research Professor at the University of Georgia. He’s a leading expert in Computer Vision Syndrome (CVS) and new research to prevent and treat this growing epidemic among adults and even children. He will be discussing the effective, natural antidotes he has discovered that act as a nutritional filter against high-energy blue light emitted by cell phones and computer monitors. The power of the mind is one of the strongest and most powerful powers a person possesses. As Napoleon Hill would say, “whatever the mind can conceive and believe, the mind can achieve.” Today’s special guest Dr. David James, an expert on personal transformation, is back on A Fine Time for Healing to introduce his new book, Discovering Your Magnificent Mind. “Within each of us lies a power that is largely untapped. When we learn how to use the power of our mind we can find healing, prosperity and powerful change. Using simple and easy-to- learn methods of working with our minds, we can learn to live out our dreams,” James describes his book. In this book, James introduces the purpose, function and power of the magnificent mind and shows how to access the realm where possibilities become real. Combining cutting edge science and philosophy with practical stories of success, readers will discover that the change they desire within their reach as they apply the principles found in the pages of the book. “We are all hungry to learn how to make our lives more powerful and enjoyable. This book focuses on the subconscious mind in a way that is entertaining, informational and engaging,” James concludes. Dr. David James is a master of transformation, a compassionate healer and compelling public speaker.James has the ability to touch the hearts of everyone that he encounters. A military veteran, James started his professional life as a law enforcement officer with the Los Angeles County Sheriff’s Department. He saw people at their best and at their worst. This elicited deep compassion within him as he understood that they all want to be happy. He holds a doctorate degree in clinical psychology and graduate degrees in spirituality and human development. He is a certified hypnotherapist and is in private practice in Beverly Hills. You have a unique internal design for wealth. That formula is encoded in your soul blueprint-and like your fingerprint, it’s unlike that of any other human being. It’s called your Sacred Wealth Code, and it is written in the universal language of purpose and prosperity. Maybe you even think you are living your purpose, but the money isn’t flowing. You may be “living just off center from where you were meant to be,” as our special guest Prema Lee Gurreri experienced herself, until she identified her exact “sweet spot” through this simple process. Using her skills as a leading Vedic Astrologer, business consultant, energy practitioner and spiritual coach, she found a way to show people how to follow the blueprint to their own riches. Prema, a spiritual teacher and Vedic Astrologer, defines wealth as everything you need to fulfill your greatest purpose on Earth…and that could include money, time, freedom, security, self-expression and service to others. She says that your desire for wealth is a major key to unlocking your “high value gifts and talents”-the ones no one else can do like you–and living the most amazing life possible-the life that fulfills your ultimate purpose. 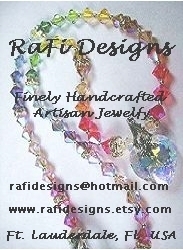 Your Sacred Wealth Code can be found by tracking the path of your high value gifts and talent. With more than 25 years of experience helping people find their unique gifts, ignite their passion and fulfill their true purpose on Earth, Prema Lee Gurreri, has brought it all home in the book she is here to discuss today, Your Sacred Wealth Code: Unlock Your Soul Blueprint for Purpose and Prosperity. You have only to open the pages of her book to find out how to access your own personal Sacred Wealth Code. selected oils, providing a master class in uses, blending, history, and spiritual benefits. Learn how to use oils for physical and emotional healing. Discover which oils to purchase first and which to avoid. Prepare oils for relaxation, stress relief, and treating ailments. Used for their spiritual and beneficial properties by cultures around the world for thousands of years, the essential oils presented here will help you achieve holistic wellness and personal enrichment. Includes recipes for pain remedies, aphrodisiacs, skin creams and moisturizers, weight loss rubs, insect repellant, household cleaners, and many more. Formerly a producer in the television industry, Kac Young, PhD, (Ventura, CA) holds doctorate degrees in clinical hypnotherapy, natural healing, and naturopathic medicine. She runs a private practice where she consults with people who want to change their lifestyle and prolong their lives, helping with weight loss, smoking cessation, addictions, physical conditions, and chronic pain. Be encouraged and inspired as today’s special guest Angela Howell shares with refreshing authenticity about the life lessons that put her on the path of personal healing and growth. Feel renewed as your eyes are opened to discovering what is already wonderful inside us and around us. Angela Howell has long been on the road to personal freedom. She survived an early life of chaos, which led to a lengthy battle with anorexia and bulimia, including a total of twenty-four weeks inpatient over seven years and three separate hospitalizations. Angela credits a team of healthcare professionals plus twelve-step recovery for saving her life, not just physically, but emotionally and spiritually as well. She will share her compelling story of triumph with you to spread a message of hope, because she still remembers what it was like to have none. As a lifelong student of personal development and a natural marketer, Angela successfully reinvented herself as an entrepreneur, speaker, author, photographer and abstract artist. She is a heartfelt communicator who personally knows how to triumph in the midst of adversity. Angela is devoted to inspiring others to find renewed passions for living, loving, working, playing—and just being. Angela is the creator of A Life Worth Having, a ten-module coaching program she developed to help more people experience true self fulfillment. Committed to advancing eating disorder awareness, Angela is a facilitator for the Body Project, and since 2007, she has served on the speakers bureau of the Eating Disorders Coalition of Tennessee. Angela’s journey resulted in Finding the Gift: Daily Meditations for Mindfulness, her handbook for life. Using metaphors from the most unlikely places, Angela challenges you to transition from merely surviving, to thriving! Are you listening to the messages your body is giving? Your immune system is a powerful force that is designed to protect you, sending you signals when it is time to make an adjustment.The problem is that too often doctors tell us that we are “fine,” or that our headaches and weight gain are caused simply by stress. These symptoms are not normal, and may indicate a current or potential autoimmune condition that can only get worse if not addressed. Focusing on tried-and-tested solutions to not only help you feel better, but heal the inflammation that is causing symptoms or disease, The Autoimmune Fix will teach you how to reverse autoimmunity before it’s too late. In The Autoimmune Fix, today’s special guest, Dr. Tom O’Bryan, incites a revolution against mediocre health and urges us to “wake up” by no longer accepting that our unfavorable symptoms or disease diagnoses are here to stay. Rampant chronic disease and autoimmune disorders are increasing and traditional medicine in the U.S. tends to treat only symptoms as they arise. With the empowering information set forth in this book, it is no longer necessary to sit back and accept the medical establishment’s reasoning behind your weight gain, fatigue and digestive issues. Tom O’Bryan, DC, CCN, DACBN, is an internationally recognized speaker and writer on chronic disease and metabolic disorders. He organized the popular Gluten Summit in November 2013. Dr. O’Bryan has more than 30 years of experience as a functional medicine practitioner and is adjunct faculty at the Institute for Functional Medicine. He lives in San Diego. He is the founder of www.theDr.com. Paramhansa Yogananda lived (1893-1952) through two world wars. He taught yoga, meditation, and practical ways to uplift consciousness in the U.S. during a time of great upheaval-World War II. Like Buddha, Gandhi and the Dalai Lama, Yogananda taught universal spiritual truths. His best-selling book, Autobiography of a Yogi, sparked a spiritual revolution of yoga and meditation in the West. If you could talk to Yogananda today, what would he say about the challenges we face? Today’s special guests, Nayaswamis Jyotish and Devi, are dynamic emissaries of Yogananda, bringing his teachings into focus for today and shine light on the real solution for today’s anxiety: raising our consciousness. Authors and teachers, who sparkle with wisdom and delightful humor, Jyotish and Devi show us how to experience joy daily, without succumbing to the stresses from our modern lives. Each year they travel to Europe, India and through North America sharing Yogananda’s teachings and blessing people with the practical and heart-opening path of Kriya Yoga. Touching each person with friendship, Jyotish and Devi’s clear, centered energy delivers spiritual insight with a delightful joy in people’s individual paths. They offer a rare example of successful spiritual partnership, living yogic values through their marriage, parenting, and organizational leadership. Jyotish and Devi exemplify the most honorable and effective qualities of Westerners who represent Eastern spiritual traditions: faithful emissaries of Yogananda and his lineage and respectful of the social customs where they teach; able to adapt ancient teachings to the modern world without distorting or diluting them. Today, the evidence is everywhere that meditation improves health, mental acuity, emotional balance and spiritual connection. Leonard Perlmuttter is one of the Western world’s leading pioneers in the introduction of meditation into the cultural firmament, having founded the American Meditation Institute (AMI) in 1996. AMI’s courses are now approved and accredited by the American Medical Association and the American Nurses Association. Perlmutter, considered one of West’s foremost guides to understanding the nature of consciousness, now offers a heralded book that is an encyclopedic guide to meditation and the Yoga Science that lies behind it.The Heart and Science of Yoga: The American Meditation Institute’s Empowering Self-Care Program for a Happy, Healthy, Joyful Life shows us the way to meld meditation and yoga into your busy life experience to bring a new level of peace, contentment and wellbeing. This ultimate guidebook to meditation and Yoga Science explains not just what to do BUT WHY TO DO IT—how our choices and actions energetically enhance or diminish our empowerment…. influencing our ability to live well, peacefully and successfully. In The Heart and Science of Yoga, you’ll discover: How the Bridge of Yoga can always lead you to your highest and greatest good, The 8 different Yoga Science steps that prepare you to lead a life of daily bliss, The best and easiest ways to anchor meditation in your life-even if you are prone to drift!, The right mantra for you—and why a mantra makes such a profound difference, The keys to AMI’s world renowned Meditation System, How stillness is the Divine Physician. models. She is also a member of San Francisco Coaches and The CSA Survivor Force. Today’s special guest, Lynne Cockrum-Murphy’s evolution from angelic childhood visitations to daily rapport with guides, archangels and others demonstrates how possible it is to move from life as struggle, or mundane to the richness that comes from trusting there is so much more. We are never alone. We can always call out for love, support and information. Her new book, Unfolding the Mystery of Self, an Amazon best seller, explores the depths of the spiritual journey of one woman through New Age teachings, Christianity, Buddhism and Hinduism on the road less traveled. Lynne shares rich insights and possibilities as she encounters ancestors, angels and teachers in spirit and shows we always have guidance. She takes us beyond the story of tragedy and trauma of her early years and explores the spiritual path of study and mystical experiences, as well as the development of intuitive and healing gifts. She arrives at the awareness that enlightenment and self-realization are available to everyone who seeks. No other book includes the American female experience blended with Buddhist, Hindu, Christian, and new age teachings to make the eclectic desirable and deeply satisfying. She shows us truth, trial and error and results.She shares the wisdom of other spiritual teachers from Yogananda, to Gary Douglas, to Swami Rama to Deepak Chopra and covers questions such as: Do you need a guru? Can angels take human form? Does religion fit into spirituality? Lynne Cockrum-Murphy has a doctorate in educational leadership, teaches for Northern Arizona University, is a retired special education teacher, a licensed substance abuse counselor, an advanced level certified ThetaHealer® and instructor, and a certified Access Bars practitioner and instructor. In addition to healing herself, she has studied and is now sought after for spiritual guidance, for healing and her gentle, wise support. Dharma is simply the true nature of anything. As today’s special guest Vishnu Swami, also known as The Maverick Monk, points out, a water’s purpose is to be wet and flow. If you turn it into ice, it will always return to its natural state–when not held in its unnatural state by reducing the temperature. If you try to use anything against its true nature, it will fail to serve and the road will be bumpy. Similarly every person has a purpose. If they act in accordance with their true nature, they will succeed and achieve their intended role. Vishnu’s book, Eternal Dharma, How to Find Spiritual Evolution Through Surrender and Embrace Your Life’s True Purpose is not a book just for die-hard spiritual seekers. He has taken the essential teachings of the 5,000 Hindu teachings The Vedas, and distilled them into an exuberant, loving and practical guide for today’s average person looking for more out of life. Vishnu Swami reveals his Unprecedented Elemental Reality System, an entirely revolutionary understanding of the physical elements of earth/water/fire/air/ether (known and observed in Chinese and Indian cultures) and three new subtle elements that create a hierarchy which allows us to master our lives and create tangible results. Eternal Dharma gives people the tools to discover their Dharma, and then how to use that as a springboard to unravel the mysteries of achieving Passionate Enlightenment, a state of deep, loving, connection and alignment with the Divine. Vishnu is a respected personal growth and spiritual leader who is just at home with millennials, college students, working professionals and simply the curious, as he is with those consciously looking for spiritual advancement. He has been featured on TV and radio and is in an award-winning spiritual documentary. Are you being held back from your full potential? Many people today have a disconnection within their body, preventing it from working to its full potential. Stress, brain fog, muscle pain and poor metabolism are just a few symptoms that result from this disconnection. Chronic disease and being overweight are typical for many people today, but that does not have to be the norm. Today’s special guest Susan Neal, RN is with us today to explain the many benefits of performing yoga – how yoga can help your body function better, and create a healthier you. Susan Neal is a certified yoga instructor with a Master in Health Science. In her new book Yoga for Beginners, Susan shares what she has learned through her 30 year journey of practicing yoga and obtaining ultimate health through proper nutrition. You’re stuck. Stuck in anxiety, nightmares, depression, addictions and aggressions. Stuck in a recognizable pattern of suffering that sounds all too familiar for many adult survivors of abuse. You’ve been through countless hours of therapy and nothing has worked. You’ve survived your abuse but you haven’t recovered. You are not alone. But, as thousands of today’s special guest Dr.Arlene Drake’s clients have learned, there is a bright light at the end of the recovery tunnel. Welcome to the end of endless therapy, where’s there’s a beginning, middle and end.Arlene Drake doesn’t just treat people, she graduates them! Arlene Drake is a psychotherapist specializing in trauma recovery and a pioneer in the field of adult survivors of sexual abuse. Her ground-breaking new book, Carefrontation: Breaking Free From Childhood Trauma will walk you through the process that she has used for more than three decades to help thousands of people heal their deepest pain. Every adult who was neglected, insulted, belittled, beaten, sexually assaulted or in any way abused in childhood, continues to carry the trauma inside. Experiences like these leave a lifelong imprint on the body and mind throughout adulthood unless we can learn to repair and reparent, Arlene’s special formula for teaching us how to be our own parents and listen, hear, believe and make ourselves feel safe. Carefrontation gives the reader powerful and positive ways to repair the damage of childhood abuse and its lasting effects, by teaching an invaluable set of skills and practices that will give abuse survivors the resources to live as a healthy, happy adult. Those who have suffered difficult childhoods, lacking in the consistency and safety of love, support, and guidance, generally have lingering issues that have held them back in life. Those who have done healing work are clearly functioning better than those who haven’t, but there is always something lurking below the surface. That “thing” is the wounded inner child. The inner child is a powerful entity, separate from our waking conscious minds, that carries the wounds of past traumas and impacts much of what we say and do as adults. It is a protective device, similar to a defense mechanism, triggered by reminders of these wounded aspects of our selves. We will never be free of our pasts until we face and heal this child within. The goal of today’s show is to help you identify and get to know your inner child, explain why reparenting is so critical, and suggest ways for you heal the wounded child that has hidden inside of you for so long. In light of the recent election, our country has become entirely polarized. Whether in the political arena, a business environment, or within one’s church or circle of friends or family, the need for kindness has never been greater. If we are to heal this divide in our nation, and in our homes and communities, the need for kindness is essential. Bestselling author Jill Lublin’s newest book could not be timelier! The Profit Of Kindness: How to Influence Others, Establish Trust, and Build Lasting Business Relationships makes the case that acting out of kindness is not just an act of goodness, but it pays dividends on the bottomline. As anger and demand has become the order of the day, this powerful reflection reminds us that Kindness is a Currency that actually fuels success. When kindness becomes the primary goal in one’s life, business, community, or family, everything changes — how we look at life, what we get from it, and how others act towards us and relate to us. We have the power to transform our lives, our businesses, and our community. What is desperately needed at this time is a global “Attitudinal Adjustment” in which we, as individuals, business owners, and leaders, commit to implementing kindness strategies into our lives, businesses, and everyday affairs in order to facilitate a return to societal balance — as well as to increase our individual success. Today’s special guest, Jill Lublin is an international speaker on the topics of Success through Kindness, Radical Influence, Publicity, Networking, and Referrals. Her 3 national bestsellers include: Get Noticed…Get Referrals (McGraw Hill); and the co-authored books, Guerrilla Publicity and Networking Magic. February 14, 2017 – The Alternative Medicine Cabinet Doctor Kathy Gruver Ph.D. The funny thing is that today’s special guest, Sarah Elliston, never realized she was “a difficult person,” someone who harangued people until she got her way, threw snip fits and temper tantrums, talked over her bosses and pointed out what she thought were their misconceptions. In her family, where she felt bullied, the only way she knew how to get someone’s attention and approval was to voice her opinion-and loudly! Without standing her ground, how could she do what she thought was best for herself and everyone else around her? She wasn’t intentionally mean-spirited. She was just trying to do what she thought was RIGHT! Until a kind, but firm, boss woke her up! With great compassion, and strength, her boss pointed out that that her actions had consequences. That in being “difficult,” she was not only disrupting the office camaraderie and production, but impeding her own professional advancement. That’s the beginning of Sarah’s transformation-when she started on the journey to leave behind the difficult person, and become the woman who teaches others how to deal with difficult people. Sarah “Sam” Elliston is now bringing forth her vital manual on how to awaken the challenging personality, and change both the relationship and the environment with her new book Lessons from a Difficult Person – How to Deal With People Like Us. Elliston lays out a proven script for peacefully transforming the difficult person’s behavior and the environment-or inviting that person to move on. She gives you the tools for a successful change conversation with a difficult person. Today, Elliston is a highly successful workshop leader and trainer, who offers wisdom learned the hard way-and through rigorous study and certification in many areas of professional training that aid her in her work. As a nutritional consultant, naturopath, educator, award-winning author, and inspirational speaker, Ann Boroch is passionate about helping people realize that the body has an innate intelligence that allows it to heal itself. She is the author of The Candida Cure Cookbook, 248 pages filled with the recipes, resources, and tips you need to take control of candida or yeast overgrowth. January 6, 2017 – Effect of Pathological Illness on Relationships with Sandra Brown. M.A. Today’s special guest, Sandra L. Brown, M.A. is the founder of The Institute for Relationship Harm Reduction and Public Pathology Education. She is a former psychotherapist in the field of psychopathology, community educator on the intersections fo Mental Illness, Personality Disorders, Violence, and Recidivism. She is a clinical lecturer and trainer, TV and radio guest, and an author. Her books include the highly popular How to Spot a Dangerous Man Before You Get Involved, the award winning Women Who Love Psychopaths: Inside the Relationships of Inevitable Harm with Psychopaths, Sociopaths and Narcissists, as well as the clinically relevant Counseling Victims of Violence. Sandra is recognized for her pioneering work in women’s issues related to relational harm from dangerous and pathological partners. She is most noted for being the first to research the effects of psychopathy on female partners which has ignited interest in obtaining training by mental health professionals for this new and emerging genre of clientele. Her research has largely impacted the treatment field through her systematic approaches to recovery for women. Sandra Brown is currently a writer for several large women’s websites; Psychology Today, Times Up! Blog, and The Institutes online magazine Safe Relationships Magazine. She is the founder and current president of the first professional national Association for NPD/Psychopathy Educators and Treatment Providers.